As the U.S. military increases its use of drones in surveillance and combat overseas, the danger posed by a threat back at home grows. Many drone flights are piloted by soldiers located in the U.S., even when the drones are flying over Yemen or Iraq or Syria. Those pilots and their control systems depend on the American electricity grid – large, complex, interconnected and very vulnerable to attack. 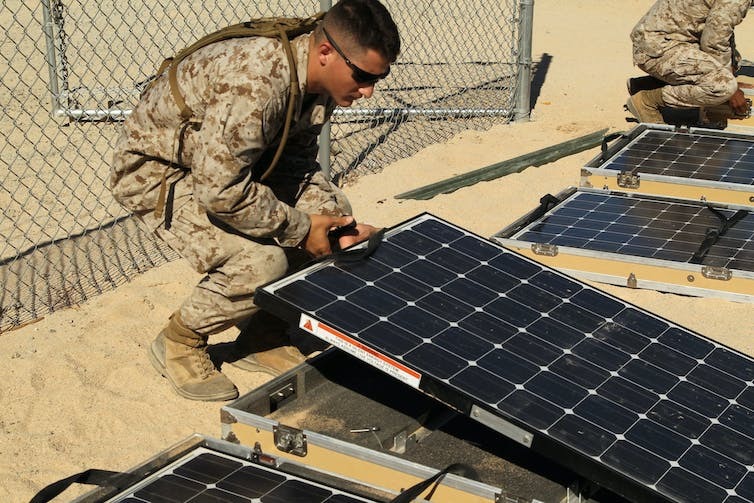 Using solar power could give the U.S. military some advantages – and more security. Without electricity from civilian power plants, the most advanced military in world history could be crippled. The U.S. Department of Energy has begged for new authority to defend against weaknesses in the grid in a nearly 500-page comprehensive study issued in January 2017 warning that it’s only a matter of time before the grid fails, due to disaster or attack. 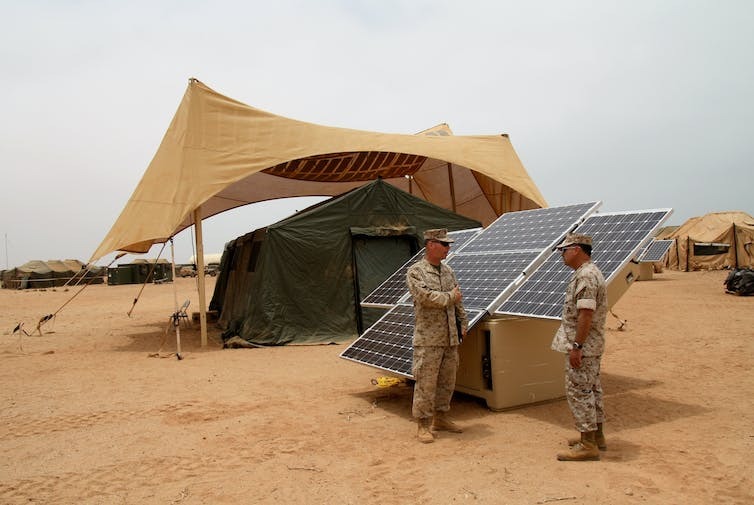 A new study by a team I led reveals the three ways American military bases’ electrical power sources are threatened, and shows how the U.S. military could take advantage of solar power to significantly improve national security. The first threat to the electricity grid comes from nature. Severe weather disasters resulting in power outages cause between US$25 billion and $70 billion in the U.S. each year – and that’s average years, not those including increasingly frequent major storms, like Hurricanes Harvey and Irma. The second type of threat is from traditional acts of crime or terrorism, such as bombing or sabotage. For example, a 2013 sniper attack on a Pacific Gas and Electric substation in California disabled 17 transformers supplying power to Silicon Valley. In what the head of the Federal Energy Regulatory Commission called “the most significant incident of domestic terrorism involving the grid that has ever occurred,” the attacker – who may have been an insider – fired about 100 rounds of .30-caliber rifle ammunition into the radiators of 17 electricity transformers over the course of 19 minutes. The electronics overheated and shut down. Fortunately, power company engineers managed to keep the lights on in Silicon Valley by routing power from other sources. The third threat is from cyberspace. In 2012, the U.S. Department of Homeland Security responded to approximately 200 “cyber incidents” across critical infrastructure sectors, nearly half of which attacked the electrical grid. A major breach in the electric system could cost as much as $1 trillion. And China, Russia and North Korea are all trying to break into the grid, potentially to disrupt the U.S. electricity supply the way Russia has in Ukraine in recent years. The security firm Symantec recently warned that hackers have already gained direct access to the electric grid. A major grid failure, thanks to nature or malicious humans, could easily outstrip the ability of generators and fuel supplies to fill the gaps. Rebuilding or replacing large numbers of damaged transformers could take months or even years: Fixing just 17 of them after the 2013 attack in California cost roughly $100 million and took 27 days. It wouldn’t just be homes and businesses waiting for the lights to come back on: Military bases, too, would be in the dark. U.S. national security requires that the military have electricity even during a long-term blackout for other parts of society or the country. Fortunately, there is a solution that addresses all three types of threat to the electric grid at once: distributed power generation. In a sense, stationing diesel-fueled generators outside key buildings to provide emergency power is a start down this path. But fuel supply lines can be disrupted too, so renewable energy is best for a long-lasting solution. 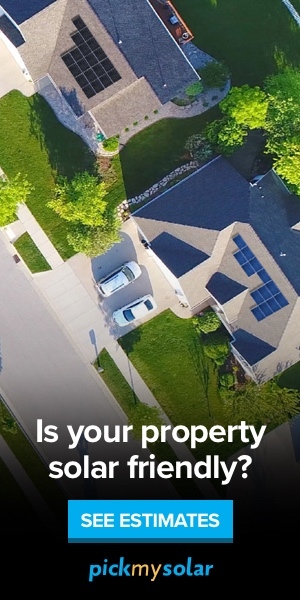 Solar photovoltaic systems, which generate electricity directly from sunlight, are best because they are easy to maintain, can be located almost anywhere and don’t need to be refueled. These steps are in the right direction but are not enough to relieve the threat. Only a few military bases have installed solar panel systems, which generally cover only part of their loads. Most military bases remain unprotected against long-term interruption of electrical power. In our study, we found that the 3 GW goal by 2025 is far short of the real need: About 17 GW of solar-generating capacity would be enough to fortify the U.S. military domestically. And more is needed to protect overseas bases, which are vulnerable because other countries’ civilian electricity grids are as vulnerable as those in the U.S. This is an enormous need for solar capacity: Only in 2015, after years of effort and investment, did the U.S. as a whole reach 20 GW of solar-generating capacity. And while our study found that the work will cost around $42 billion, it will save as much as $2 billion a year in electricity bills the military now pays to civilian suppliers. Remote overseas bases already use solar power to sustain themselves. 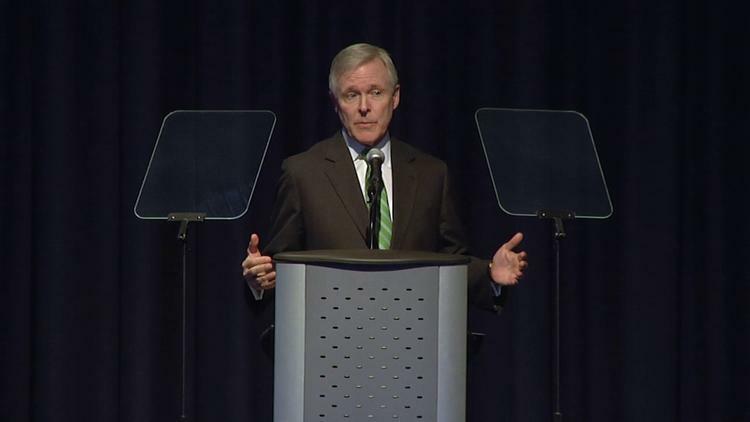 Companies already serving the military are ready and able to do the work. For example, Lockheed Martin, a major defense contractor, has built a demonstration system at Fort Bliss in Texas with a 120-kilowatt solar array and a 300-kilowatt energy storage system. The equipment is connected together – and to buildings it serves – in what is called a “microgrid,” which is normally connected to the regular commercial power grid but can be disconnected and become self-sustaining when disaster strikes. To truly secure the U.S. military, every base will need this kind of system – supersized, including both rooftop and ground-based solar arrays. The costs are manageable – and the solar panels are largely one-time costs. In fact, we found that the military could generate all of its electricity from distributed renewable sources by 2025 using these types of microgrids – which would provide energy reliability and decrease costs. And it would largely eliminate a major group of very real threats to national security.